Loop-the-Loop: Use the flexible track to send a ball upside down around a loop. Did it work? What can you change to help the ball complete the loop? Gear Up & Gear Down: Combine a small gear and a large gear. Spin the large gear. What do you notice about the smaller gear as a result? Now spin the smaller gear and see what happens. 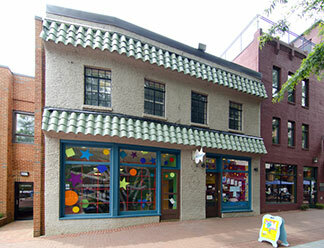 Explore gravity, cause and effect, and simple machines at the STEM Lab’s Magnet Wall, sponsored by Dominion Energy. All of the pieces are magnetic, allowing visitors to move them around to see how they can work together to produce different results. 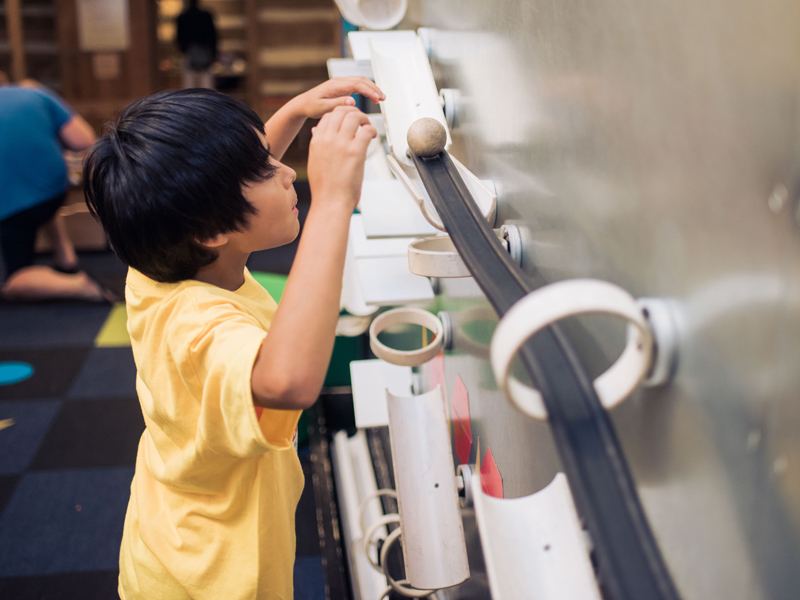 Position the pipes to form an inclined plane, and investigate how you can use this simple machine to move a wooden ball down the wall faster or slower. The gears are another example of the function and power of simple machines: combine these toothed wheels to transmit force and motion, change direction, and increase or decrease speed.